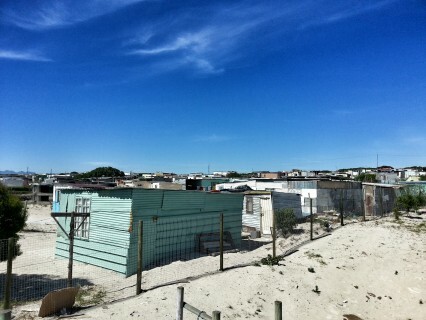 Nkanini is a large section of about ten informal settlements on the far south-east region of Khayelitsha. In 2002, when the railway station Chris Hani servicing the area was completed, many people from Makhaza, Site C, Langa, Gugulethu, and other areas settled on the land. Many of the new settlers were living in overcrowded backyarder shacks, where rents and utility services were charged at a premium. Law enforcement often clashed with the new settlers, but could not prevent the inevitable. 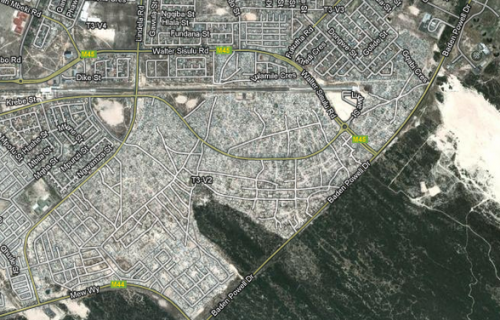 Today, Enkanini consists of more than ten informal settlements on this low lying area. Many of these settlements are associated with the Informal Settlement Network (ISN), particularly Chris Hani and lower Chris Hani, Stendini, Shuka Section, Newlands, Isigingqini, ARC Section, and Zweledinga. On Friday the 5th of April, a coordination meeting was called to bring together all these settlements and start up a conversation about the needs and aspirations in the settlements. I, Nkokeli Ncambele, an ISN coordinator, gave the delegates from the above mentioned informal settlements a welcome brief and upfront said that the ISN has not been in contact with the area for some time, but it is time to re-connect and talk about the future upgrading of the settlements. I gave a brief background the work of the ISN over the past three years and the progress made in ensuring a partnership with the City of Cape Town. We talked about the kinds of upgrading projects that have been completed, and how these could be a reference point for some of the settlements. This includes 22 informal settlements planned to be upgraded, with different priorities. There is emerging consensus from the City to provide 1:1 toilets in re-blocked settlements, but this remains an ideal. All these intiatives are aimed at building a network across the City to create a platform for the voices of the urban poor to be united and stand in solidarity. The question of representation of settlements were a significant point of discussion. 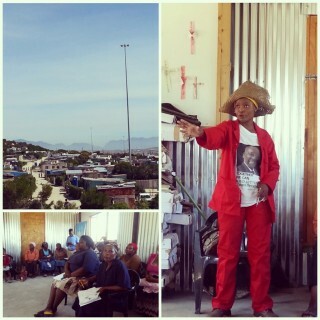 Anton, a community leader from Newlands, asked whether each of the settlements in Enkanini would form part of these “sectional forums”. Do we need to publicly elect people in each of the areas to distribute the information. 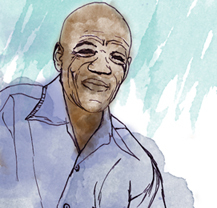 I reflected on our experience of setting up a community committee where I lived in Mfuleni. We were democratically elected at a general meeting. The community entrusted us to represent them in matters of engaging government on development and service delivery. All the people sat down together and we talked collectively about the problems and needs in the area. After that we create a plan for development and talk to the City. Services are now coming to Mfuleni because we stood together. So each area needs to have at least 4 people. But you need to tell ISN what you need. You need to take the initiative and come up with solutions. Some of the community members suggested that a general meeting is needed to discuss in more depth the needs and aspirations of each of the settlements. Bonwisa, the representative from Standini settlement, called out that these meeting should happen at times convenient for all to attend, such as weekends or after a day’s work. I responded by saying that yes, Nwe need to have a big date to call together the whole community. We need to have an agenda for that large meeting, and then discuss with all the community. At that time, we need to discuss the completion of the enumerations, which was stalled in 2009 for a number of reasons. I told those present that as the network coordinator, we can not plan anything if you are not with us. All the leaders need to agree on the programme, and then we will have real representation. We are not coming in and tell you what to do; you need to tell us. The settlement representatives spoke among themselves and a number of core issues were presented. For instance, in Newlands and Isiginqini, there were no post boxes and people had no proof of address. This complicated a lot of everyday life, such as applying for jobs, opening a bank account, and so forth. Chris Hani settlement said that many of the mama’s were ready to start saving towards school fees for their children, but because they did not have a bank account, they often had to travel to Zone 40 to deposit money. I mentioned to them that we can support them around setting up local savings schemes, and our partner grassroots network, the Federation of the Urban Poor, has a lot of experience in doing so. We live here in a beautiful area. Here in the plain we have the best view of the city. You can see Table Mountain there and Stellenbosch mountains on that side. But we do have issues regarding moving around and the busses are scarce. I am frequently on the community forums with the City. We usually talk about the lack of busses, but they usually say they can not allocate more bustime to us. 3,000 drivers need t0 service this whole area, but there are only 10 controllers in this Nkanini area. Chris Hani train station is close by, but people living on that wide [Western side – Stendini, Town 3, etc] have to go to the far [Eastern] end, which means you have to take a taxi to go there. The station was designed for Makaza people, not for us. Another community leader reflected that there big promises of job creation with the construction of the Monwabisi Beach, which they said will become like a Waterfront. The City promised that there will be many jobs. Some people travel to Stellenbosch for seasonal work on the wine farms. But it is very dangerous, and people are frequently attacked. Others work in the light industries in Durbanville and Kraaifontein, and as far as Houtbay. ISN will continue to host community forums in Site B, Site C, Victoria Mxenge and other surrounding areas. 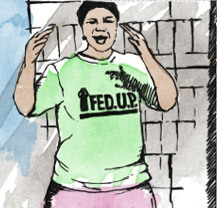 These forums aim to bring the communities together to talk about their daily challenges and the ways to which they respond to these. Forums are also linked to prioritising development, and starts the community process at the grassroots.